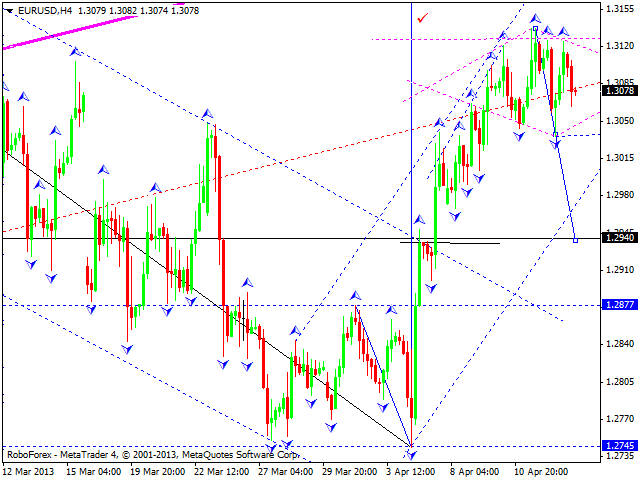 The EUR/USD currency pair is consolidating near its maximums. We think, today the price may break this consolidation channel downwards and continue falling down towards the level of 1.2940. Later, after this correction, in our opinion, the pair may form another ascending structure to reach the last week’s maximums. The GBP/USD currency pair is moving inside its third ascending wave; the market is forming a correctional structure and has already completed its first wave, which is enough for the price to continue growing up towards a local target at 1.5615. Considering the fact that the current ascending movement included no corrections, we can expect one as an alternative. 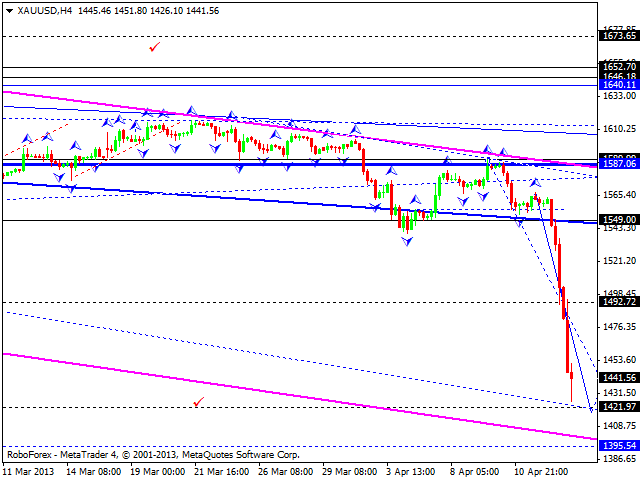 The lowest target of such correction may be at the level of 1.5160. Later, in our opinion, the market may start a new ascending movement. The USD/CHF currency pair continues moving inside a consolidation channel; right now it’s in the middle of the third descending wave with the target at 0.9200. 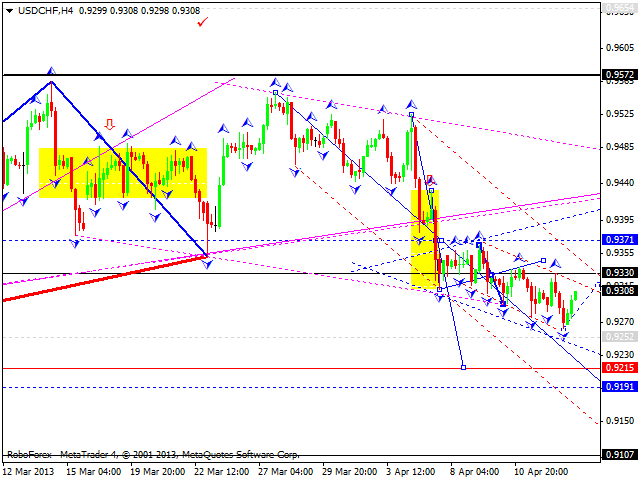 We think, today the price may form a correctional structure inside this wave to reach the level of 0.9400. Later, in our opinion, the pair may continue falling downwards towards the above-mentioned target. 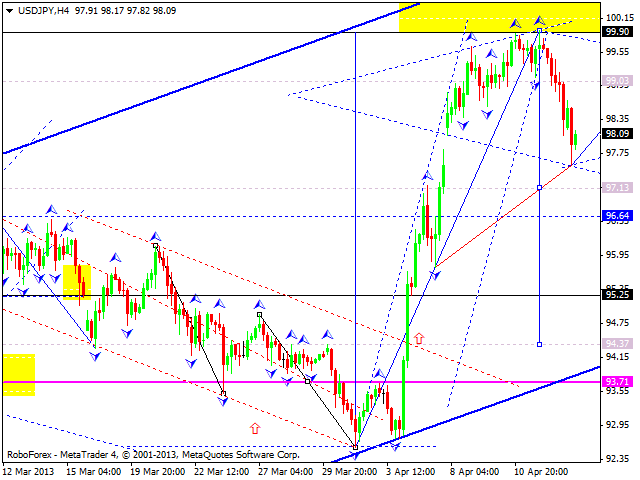 The USD/JPY currency pair continues forming its first descending structure. We think, today the price may form an ascending correction to return to the level of 99 and then continue moving downwards to reach the target at 96.60. Later, in our opinion, the pair may break an ascending channel and start a serious correction towards the level of 88.20. Australian Dollar continues forming its first descending structure; it looks like the market is going to break an ascending channel. 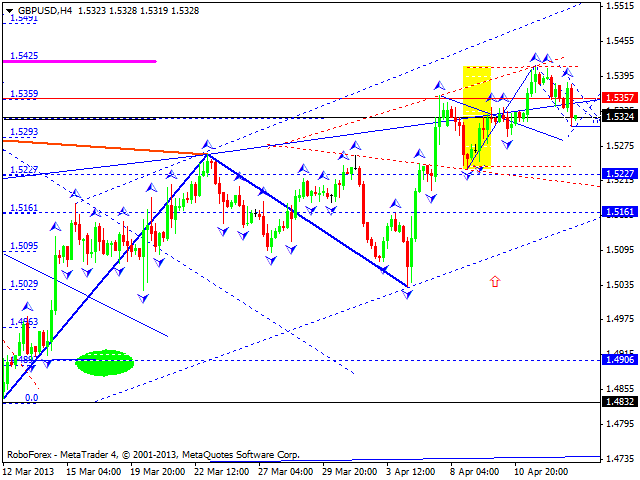 We think, today the price may forma correction towards the level of 1.0522 and then continue falling down. 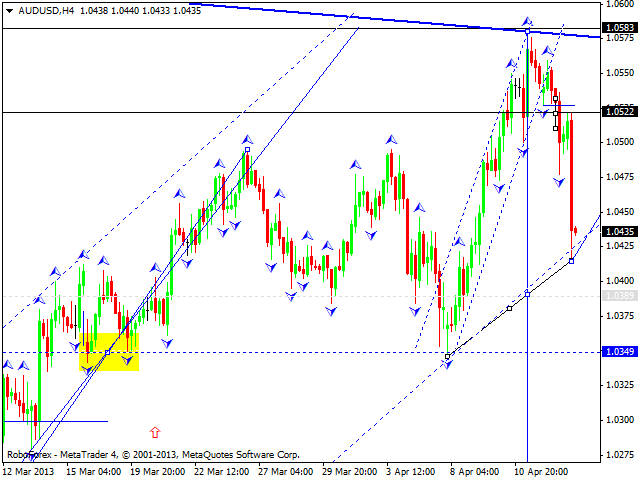 A local target is at the level of 1.0260. Gold continues moving inside the third descending wave. We think, today the price may move downwards to reach a local target at 1420 and then start forming a correctional structure towards the target at 1490. Later, in our opinion, the instrument may continue falling down towards the level of 1395.